Cross collateralisation – what is it and why is it bad? 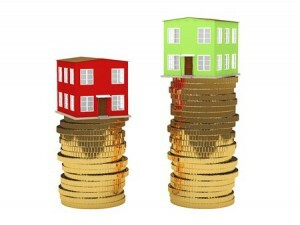 Cross collateralisation is one of the most common mistakes made by property investors. But what is it and why should it be avoided? Cross collateralisation is when an investor uses more than one property as security for a loan. For example, let’s say Jane Doe wants to purchase a $400,000 investment property. Given the amount of equity in Jane’s house, she can approach her lender (Lender A) and secure the entire $400,000 needed to buy an investment property. Following the transaction and acquisition, Jane will have $1 million worth of property and $600,000 worth of debt. What’s more, with an 80% loan-to-value ratio, Jane will also have at least another $200,000 of equity in her properties. If Jane wants to utilise this equity to purchase another investment property, she can approach Lender A for another loan. However, depending on her circumstances and the lender’s policies at the time, they may reject another loan application from her. No big deal, right? Jane can always approach another lender? Actually, it’s not that simple. In reality, it’s unlikely that Jane would secure a loan from another lender (Lender B) because her original lender (Lender A) would have taken first mortgage security against both her home and her investment property. Given this, it’s likely Lender B would reject a loan to Jane unless all properties were refinanced to Lender B. If an investor has purchased several properties using cross collateralisation, their ability to borrow from their lender becomes increasingly harder. Savvy investors know that it is beneficial to spread their borrowings among different lenders. In the above example there is a better way to secure all the finance needed for the $400,000 investment property. What Jane should have done is approached Lender A for a home equity loan of $280,000 – if she has good credit, and she can service the loan, there is no reason why she shouldn’t have this approved. Using $80,000 of the home equity loan as a deposit, Jane can approach Lender B to loan the remaining $320,000 needed to buy the investment property. Jane now has $1 million worth of property and two lenders who both only control one of her properties. She also has $200,000 remaining of her home equity loan, with which she can use to purchase more properties, if desired. Another major downfall of cross collateralisation occurs if you want to sell one, or more, of your properties. This is because you are essentially changing the terms of your contract with your lender. By selling one property you are taking it away from your lender as security and changing your loan-to-value ratio. Subsequently, your lender may require you to reapply for your loans in order to release the property you want to sell. They can also ask you for revaluations on your remaining properties, which are completed at your cost. The lender can even take proceeds from the sale of your property, or deem that you no longer meet their lending requirements and force you to sell more properties than you intended. By choosing not to cross collateralise, you will only ever be required to repay the loan that the property is secured against. 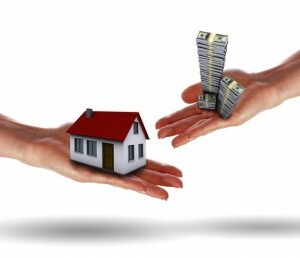 Furthermore, having separate lenders for separate properties will give you more options should you choose to refinance. Although the idea of cross collateralisation can sound confusing, it’s important to remember to only offer the property you are purchasing as security. It really depends on individual’s circumstances. If the individual has a strong cashflow, another lender is ideal. If not, cross collateralisation is not bad, just remember to separate them quickly as soon as your investment ‘ s LVR down 80%. This article is misleading, not all lenders operate in the way outlined above. Investors should seek advice from their lender on these points. Cross collat enables some to leverage upon what they have without detracting from their lifestyle whilst maintain fully deductible debt. Understand and use it properly there are no issues. Over the years I’ve found lender’s don’t tell you about the risks (to you – not them) when they ask you to cross colllateralise – their default postion.